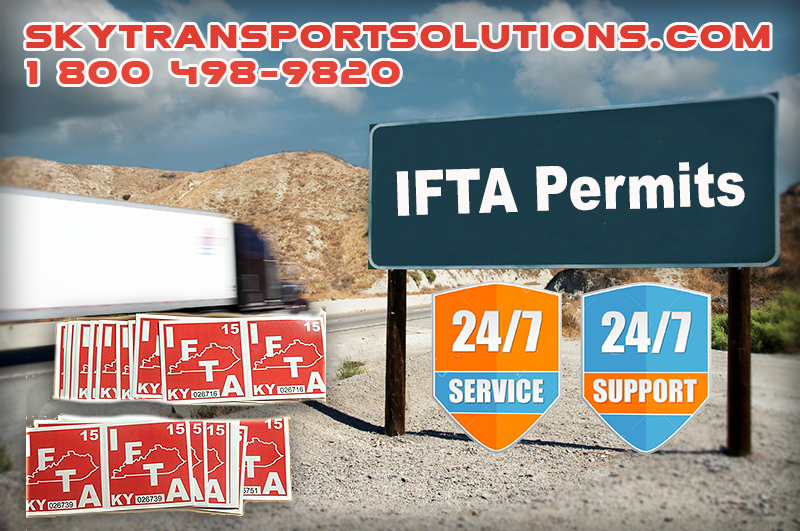 Here at Sky Transport Solutions we take the hassle out of getting your truck IFTA permit and maintaining your IFTA account. We do all the required paperwork and filing to make sure your are in compliance. The IFTA permit is an important document in your cab! Sky Transport Solutions is the industry leader offering truck permitting and filing support, with the best value and pricing in the trucking industry. Our customers are owner operators and truck fleets, who appreciate the value of our service. However only you as the truck driver can tell us specifically where and how much fuel you purchased so to make your life easier we have a trip sheet requirements list. Trip Information: For your distance records, you’ll need to include all of your relevant trip information like the beginning and ending trip dates, trip origin and destination, jurisdiction and the cities and route of travel. Odometer Readings: The validity of your trip information will be supported/verified as you will keep track of all mileage on your odometer. For each trip make sure you recording both the beginning and ending odometer readings. Note: If HUB or hubometer is used indicate this. Mileage: Your logs/trip report will require you to include the mileage of the trip, including the total mileage, total mileage for each trip, and the total mileage traveled in each jurisdiction. Vehicle and Licensee’s information: You must also have the vehicle identification number, the fleet unit number (if applicable), and the licensee’s name included somewhere within your trip sheets/logs. Remember your IFTA permit is an important part of being in compliance. For fuel records and IFTA purposes, it is necessary to keep track of all fuel purchased and used. A separate record must be kept for each fuel type, such as retail fuel and bulk fuel purchases. Always make sure you don’t jeopardize your IFTA permit with sloppy record keeping. We here at Sky Transport Solutions keep your truck or fleet IRP and IFTA records for audit purposes. Specifically we keep IFTA for records for 4 years and we keep IRP records for 6.5 years. Sky Transport Solutions will always stand by your side during an audit. Call us and find out why thousands of truckers, owner operators and trucking companies call us to get their IFTA permit.